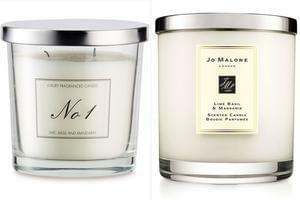 Aldi first sold these Jo Malone style candles as a limited run during Mother's day but now they're back for good! Inspired by the much more expensive Jo Malone candles, the budget supermarket has released three scents: Pomegranate Noir, Freesia & Pear and Lime, Basil & Mandarin. This checks online stock to buy from the Aldi website, not in-store stock. Is the stock being checked in-store or online? To be clear: This stock checker monitors Aldi's website for online stock that you order for home delivery. It does not tell you in-store stock. The stock sells out very fast. So when you get the email you must act fast! Hello? Maria (again ) any way to get alerts on phone? Thanks. I'm disappointed in ppl buying more than 1-2 of each. Selfish much? Thanks for the heads up - we've added it in to the checker!